Are facts and values distinct? If values and morals do not rely on facts, how can we possibly agree on them? Is there a universal right and wrong? Science can tell us how and why we value what we do, but it cannot tell us what we should value. This goes back to a belief put forth by philosopher David Hume, who stated that you can’t get an ought from an is—statements and facts about the world as it is don’t give ground for saying what we ought to do about it. 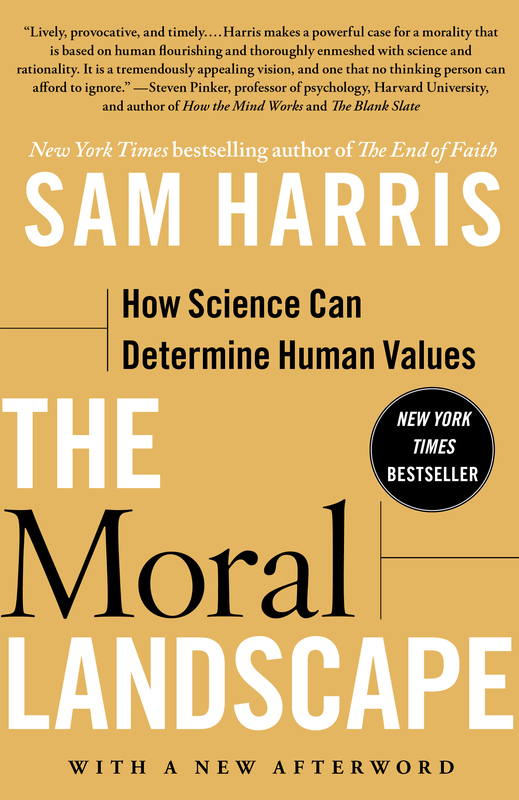 Harris refutes this notion, claiming that science can, in fact, reveal to us the solutions to our moral dilemmas. But before it does, we will need to dispel the notion of moral relativism. There are 3 degrees of what is known as ‘moral relativism.’ The first is descriptive, which states that some people disagree about what is moral and what is not. The second is meta-ethical, stating that when disagreements emerge, nobody is objectively right or wrong, because a universal morality doesn’t exist. Thirdly, the normative stage argues that because nobody is objectively right or wrong, we should tolerate all shapes and forms of morality. We can likely all agree with the first stage—people have many disagreements about moral dilemmas. The second and third stages are less clear. If there is no objective right and wrong, should we tolerate the behavior of suicide bombers and rapists on the basis that their morality is simply different from ours? For those that believe we shouldn’t tolerate such behavior, this is another way of stating that morality should be a code that we can all accept or agree upon. If such a universal morality exists, how will we find and agree upon it? One such way around the is-ought problem is to add a goal. By saying what we want to achieve, we can take the facts we have available and use them to determine what we should do. So in the case of morality, what is—or should be—the goal? In the Moral Landscape, Harris argues that the well-being of conscious creatures is the goal—in fact, it is the only possible goal. When we look unfavorably on the woman burned with acid or the child starving to death, our moral senses fire because we know that there are conscious experiences within these people that are likely to be very unpleasant. We all act in ways that are expected to provide some type of benefit to some creature that will experience it. It need not be ourselves (although altruism often comes with positive feelings for the one doing the giving), but if no conscious entity were going to gain anything from our actions, what purpose do/could those actions have? Even selfish, violent acts must convey some type of mental pleasure or relief for the one acting it out. Well-being might not be easy to define, but then, neither are ‘health’ or even ‘life,’ yet we study these things and use the resulting information to change our behavior and make our lives better. What’s more, just as in our path to greater health there are many foods or exercises that confer benefits, so too might there be many paths to well-being. We know that, on the whole, sharing some laughs with good friends is more conducive to flourishing than being locked in a cold room without windows. This gives rise to Harris’ moral landscape—there are many peaks and troughs representing states of well-being and states of despair, pain, suffering etc. It is not that there is one right and one wrong, but there are better and worse. If we acknowledge that morality relates to the flourishing of conscious beings, we can also see that selfishness does not work very well. We are all better off for our having collaborated throughout history. All of our technological developments rest upon cooperation. A purely selfish form of morality would isolate each individual from the herd, and cut them off from the source of most of our modern luxuries. Working together is far more conducive to human flourishing. While these are certainly difficult to answer, they are only difficult with regards to what knowledge and perspective we have now—it doesn’t mean that answers don’t exist. What’s more, we do not need all the answers in order to begin moving forward—we do not have to be perfect. In fact, we are already making such choices, on a personal and global scale. When we weigh the risks of invading a country, when we try to decide between saving money or buying organic food, when debating if new technologies pose a threat to humanity, when we tell a white lie to save someone’s feelings. Each alters the mental lives of people involved and are therefore capable of moral analysis. Another problem standing in the way of proper morality is the human condition. It is one thing to have science tell us what we ought to value in order to maximize human well-being, it is another thing to convince people to value them. We can all say that the deaths of many are worse than the deaths of a few, but our intuition doesn’t seem to follow. While a great deal of our moral sense happens instinctively, it takes conscious effort to take it a step further. Once we become aware of our moral failings, we can start towards the ideal solutions. When we gain greater understanding of the world around us and its effects on the human mind, we will see what conditions allow for human flourishing; and in those cases when our intuitions still won’t play ball (as in valuing a single life more than 100), we must build an environment that better supports the right decision. It will not be easy. The first step is admitting that science can answer moral questions, the second step is having it do so, then we can work towards implementing systemic changes. Previous Post Where is Our Place in the Animal Kingdom?